Krypton is not part of the DC Extended Universe timeline which includes Man of Steel, Batman v Superman: Dan of Justice, and Justice League, ComicBook.com has confirmed with Syfy. Since it was announced more than a year ago, the question of whether or not it would be explicitly tied to the feature films has been debated by fans. The look and feel of Krypton -- what little fans have seen -- seems to fit with the Krypton of the movies, but given that both were strongly influenced by John Byrne and Mike Mignola's World of Krypton, that was not an entirely compelling argument for the two being connected. Somewhat more compelling? Executive producer David S. Goyer, who wrote Man of Steel and in that film designed a Krypton that felt very much like the one seen in the earliest footage for the show, had previously referred to the series as taking place "200 years before Man of Steel." Of course, in Man of Steel, the audience was introduced to General Zod, known in the comics as Dru-Zod, played in the film by Michael Shannon. Dru-Zod's mother, Lyta Zod, is played by Georgina Campbell on Krypton while his grandmother, Alura Zod, is played by Wonder Woman veteran Ann Ogbomo. Explaining how Philippus could have been on Krypton 200 years ago would have been difficult enough, but the relatively obvious fact that both Ogbomo and Campbell are women of color confirmed for most fans that Shannon, who is white, was unlikely to represent the first post-Krypton generation of Zods. DC Entertainment's Geoff Johns also revealed at San Diego Comic Con this year that Doomsday would play a role in Krypton, but given his backstory as a centuries-old Kryptonian biological experiment, that would not necessarily have disqualified the character from appearing both here and in Batman v Superman, even if the two had shared a continuity. One could reasonably assume that keeping the series separate from the feature films might make it more plausible to include Jor-El or Kal-El/Superman, should producers choose to do so. Krypton involves time-travel and includes appearances by DC superhero Adam Strange (Shaun Sipos). The likelihood of getting Russell Crowe or Henry Cavill to appear on a cable show is basically about the same as the likelihood of getting Robert Downey, Jr. to ever make that Marvel's Agents of SHIELD cameo. 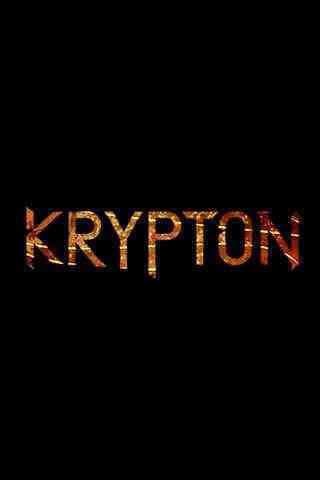 Krypton premieres on March 21 on Syfy.